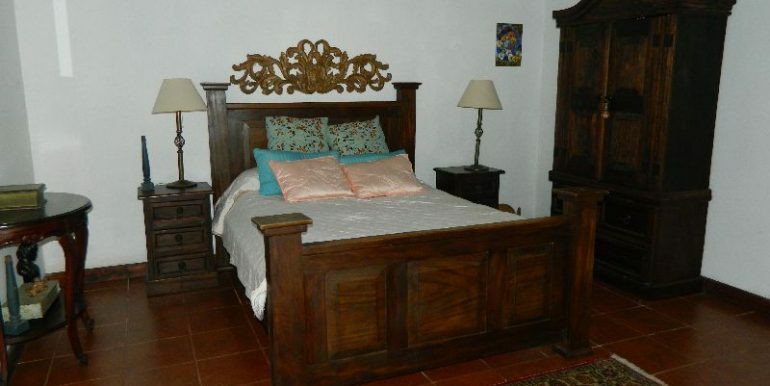 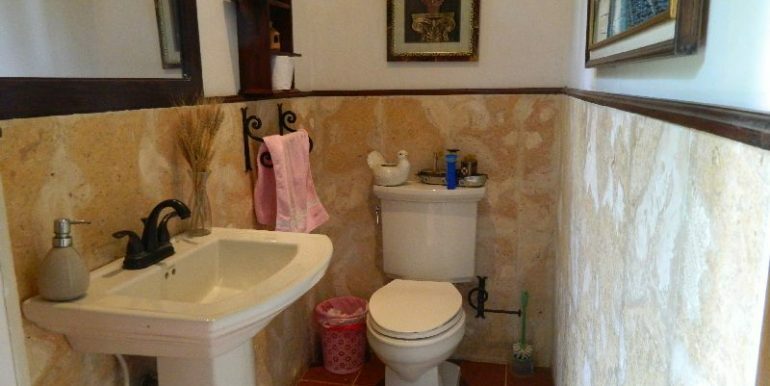 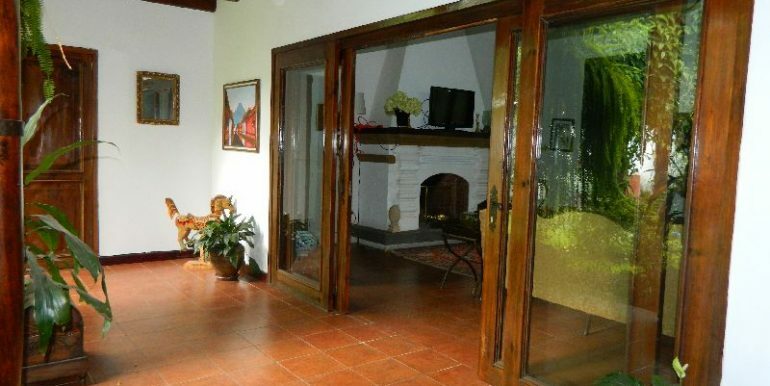 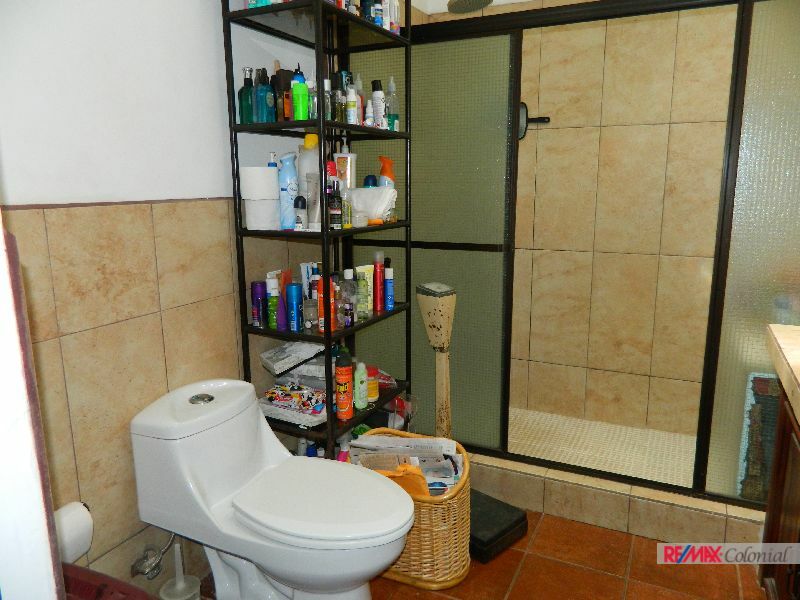 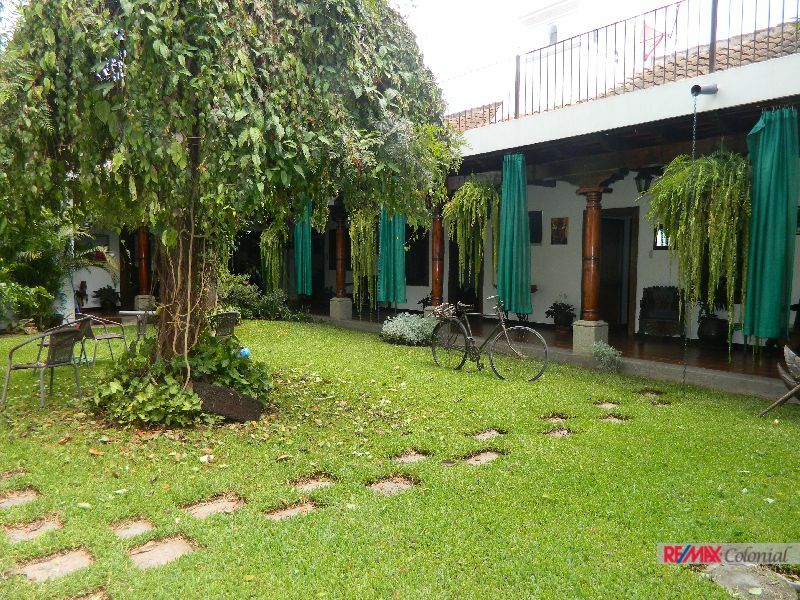 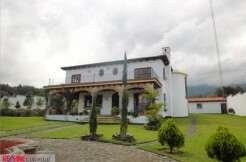 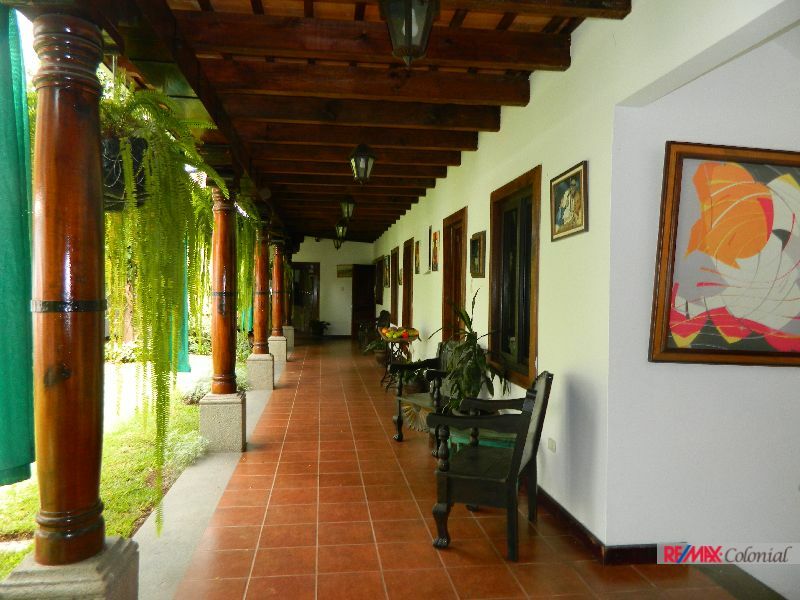 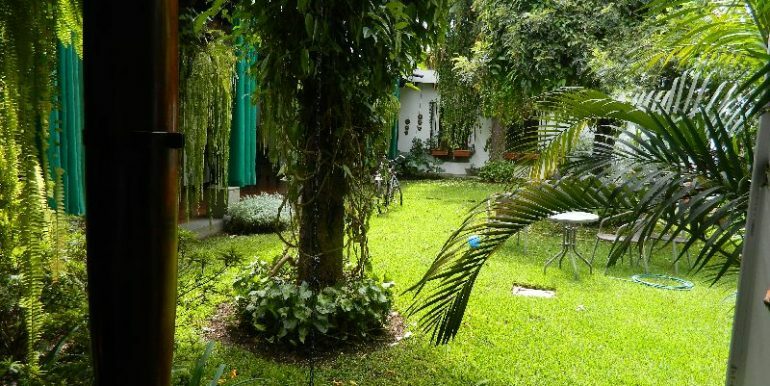 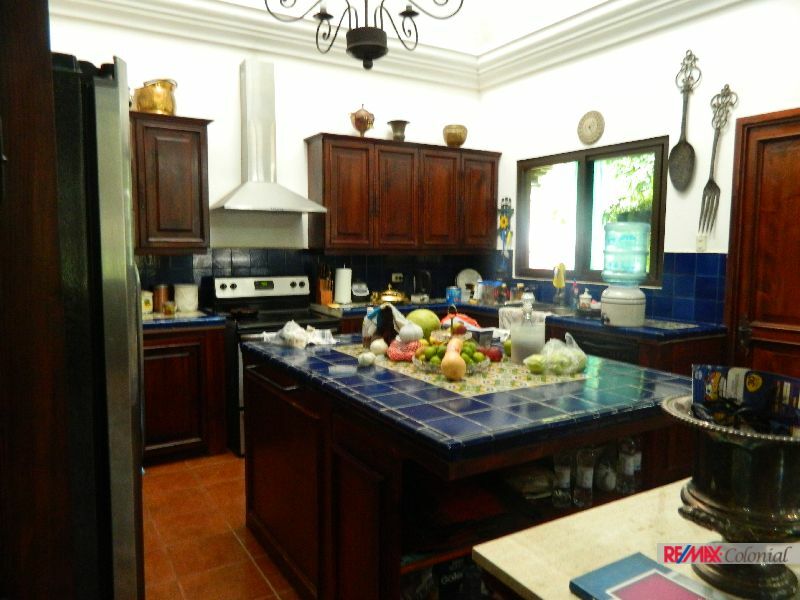 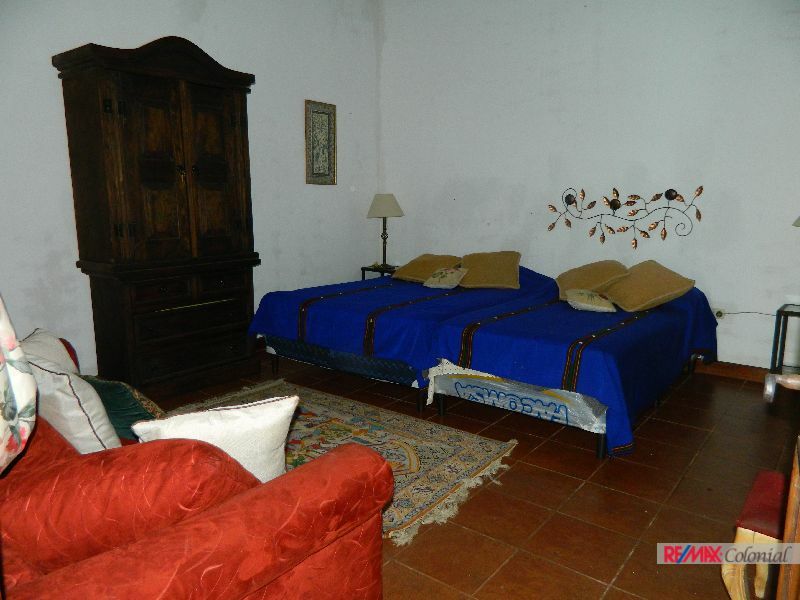 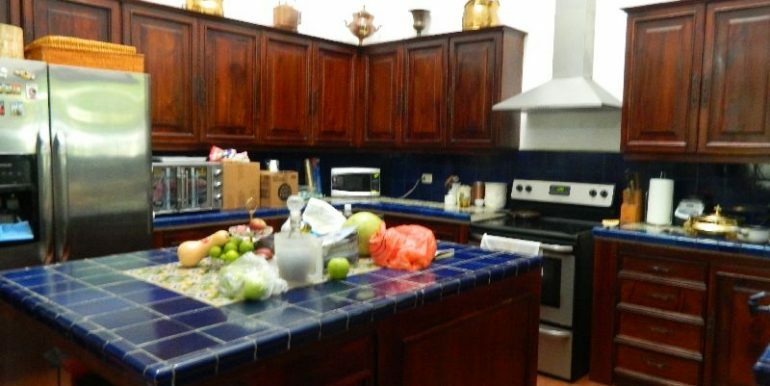 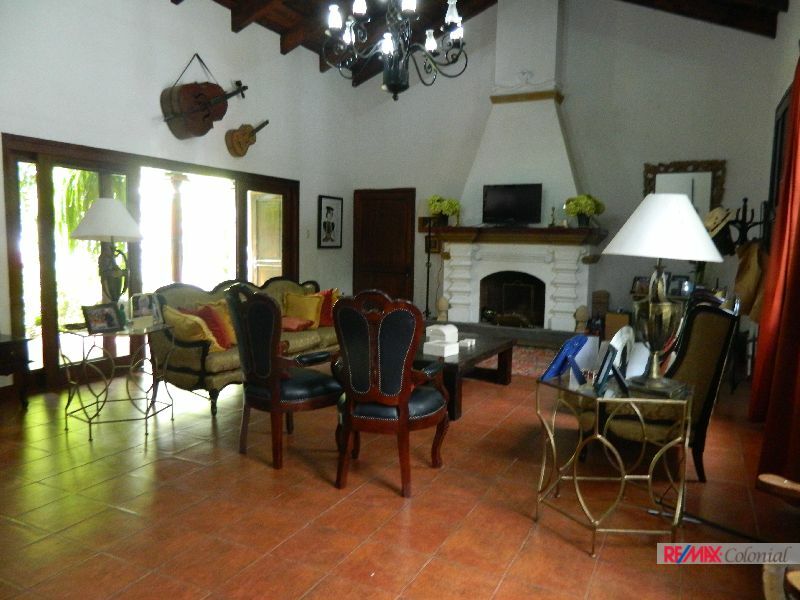 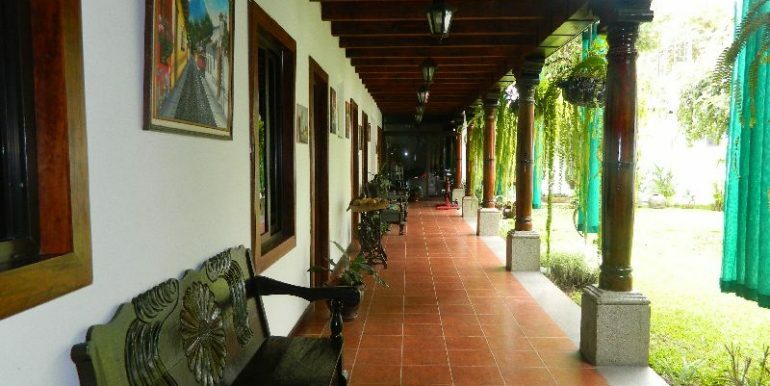 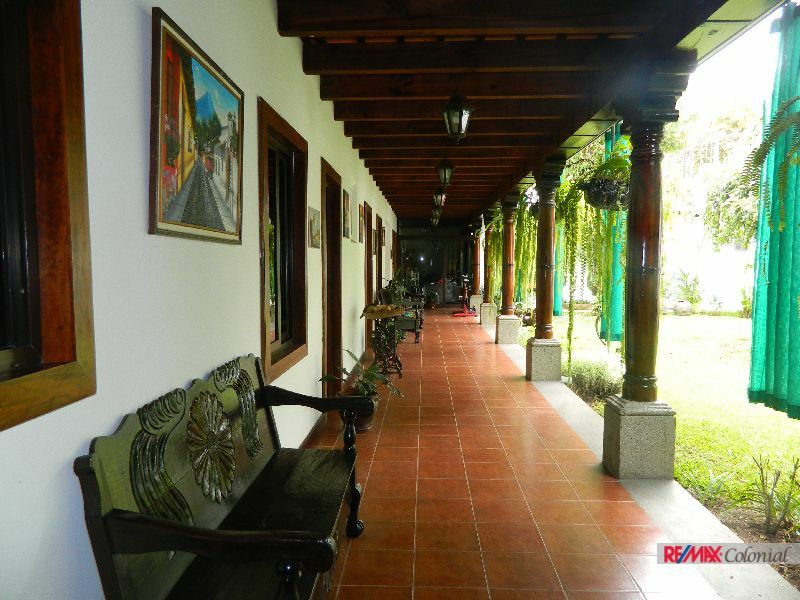 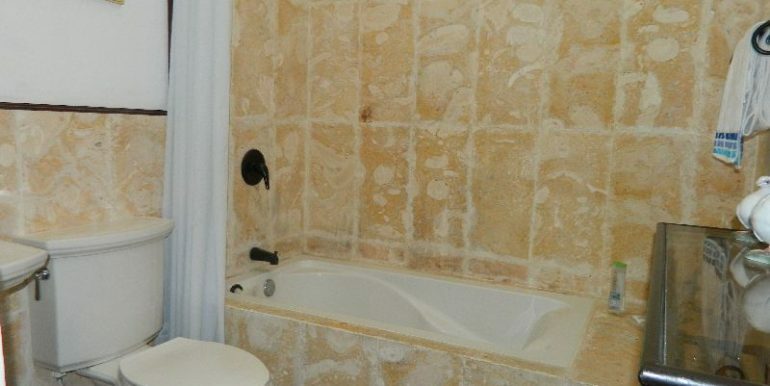 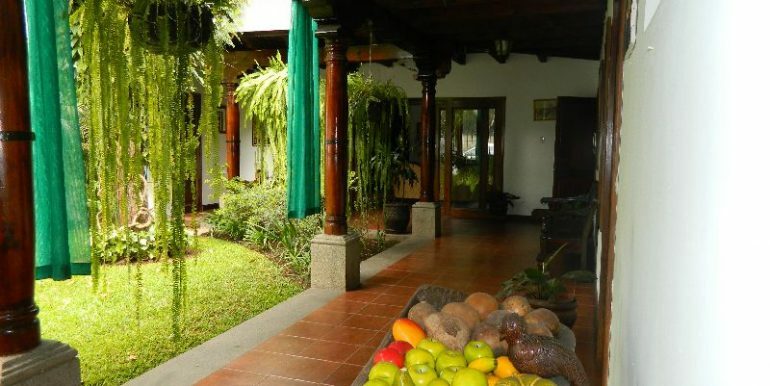 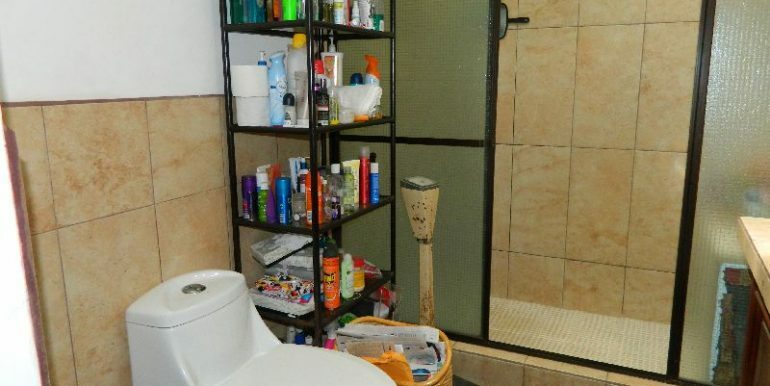 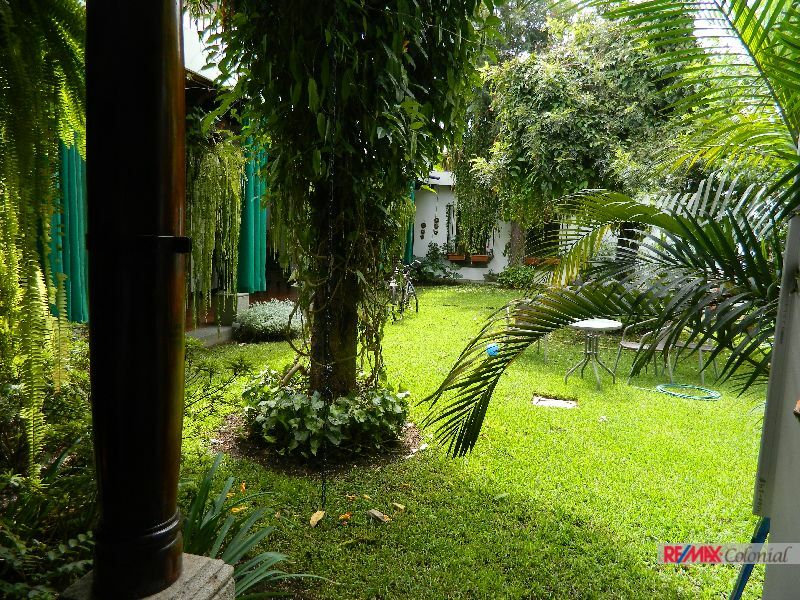 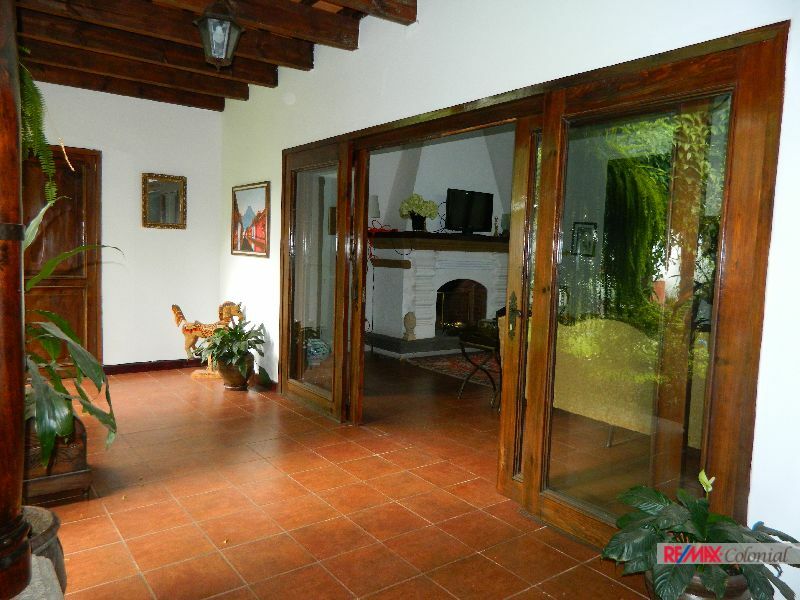 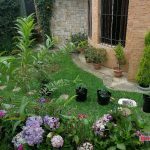 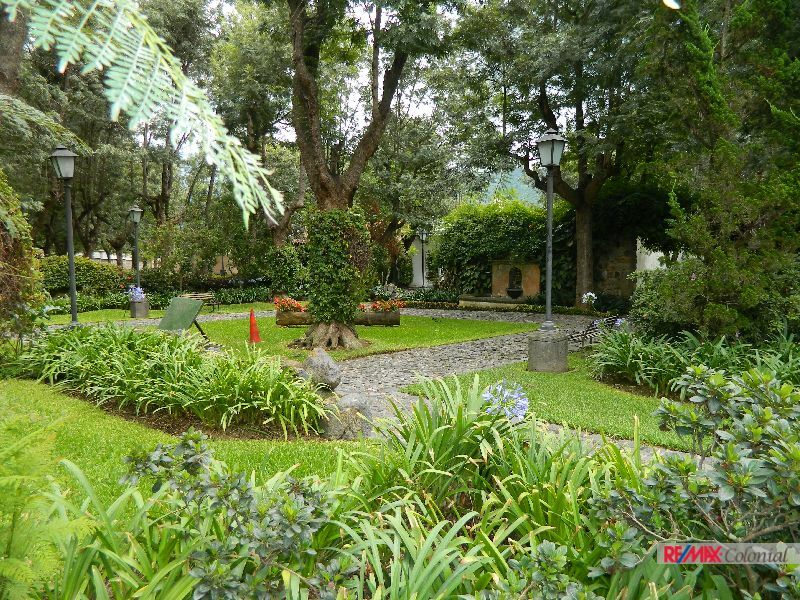 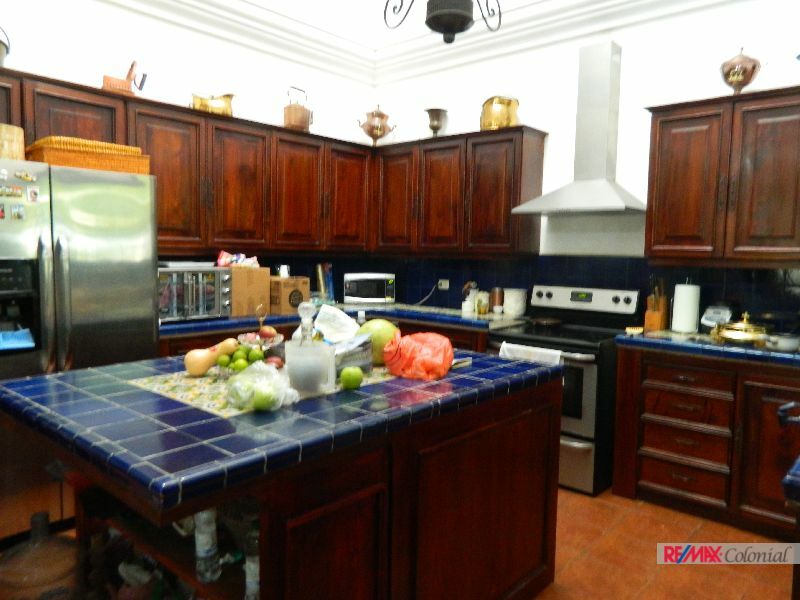 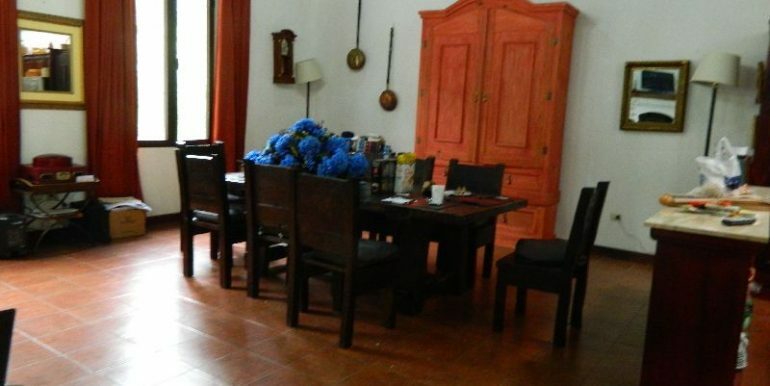 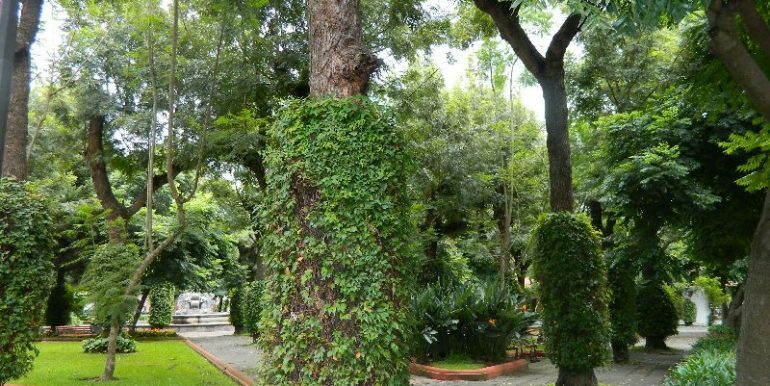 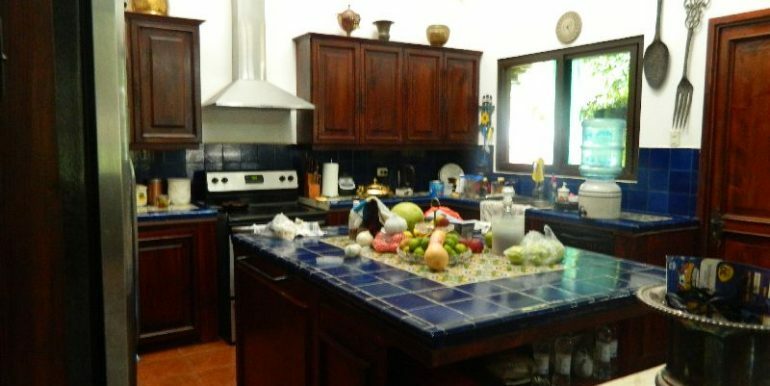 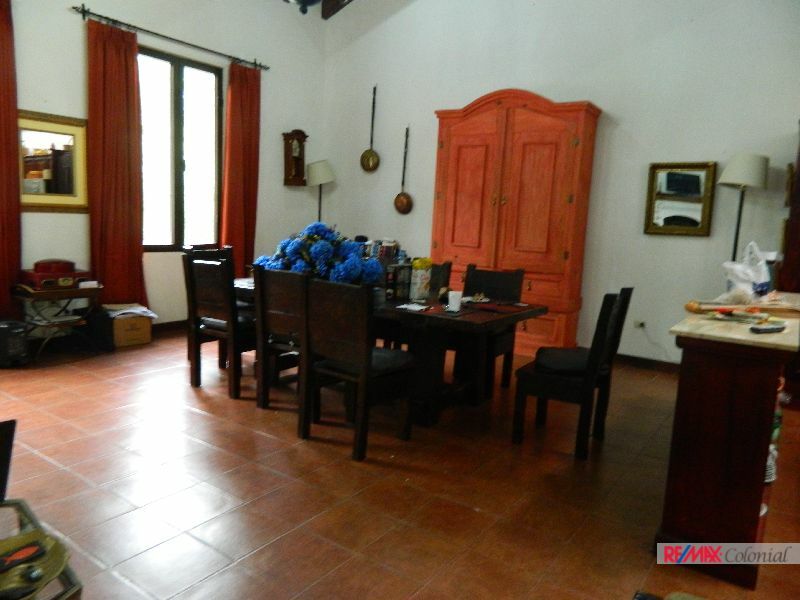 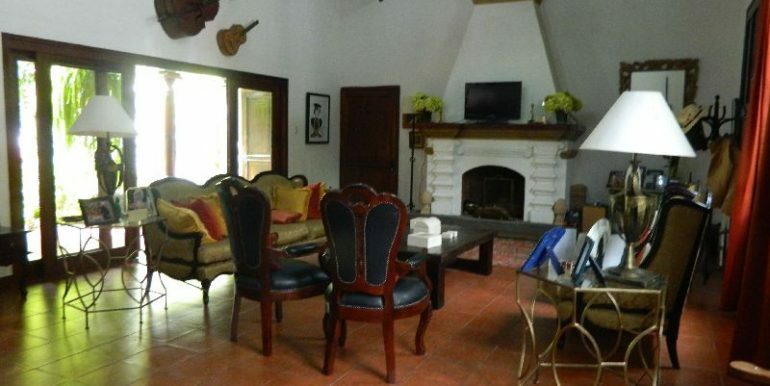 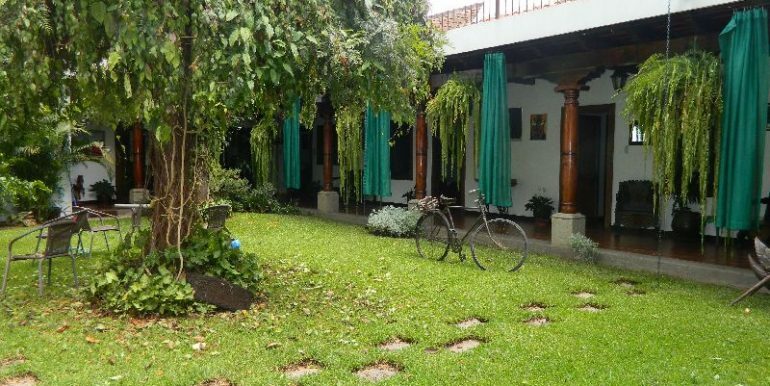 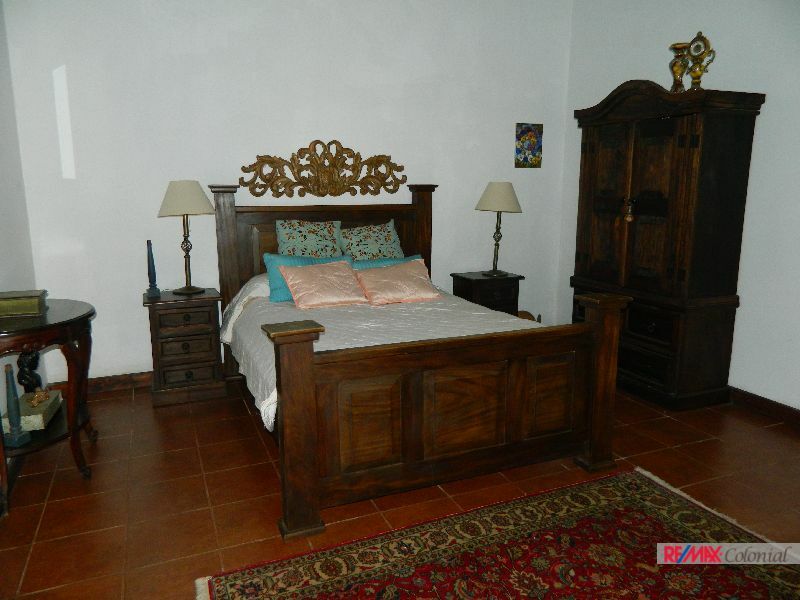 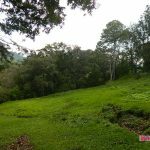 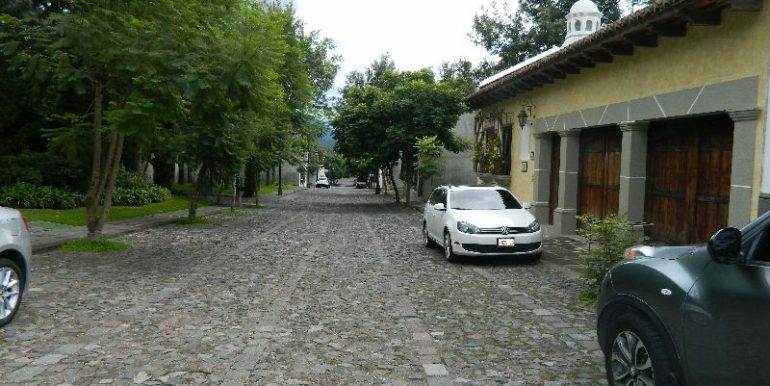 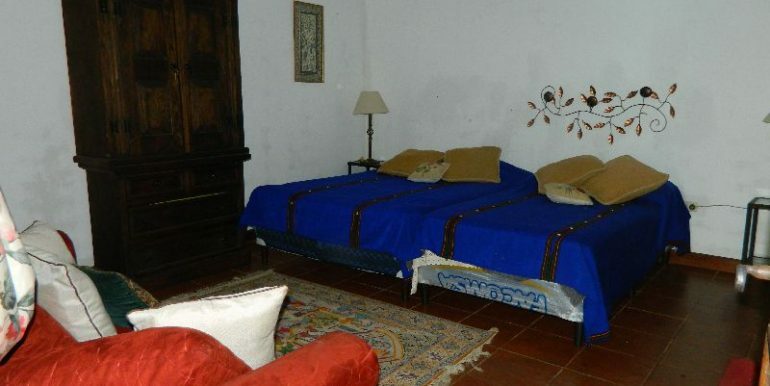 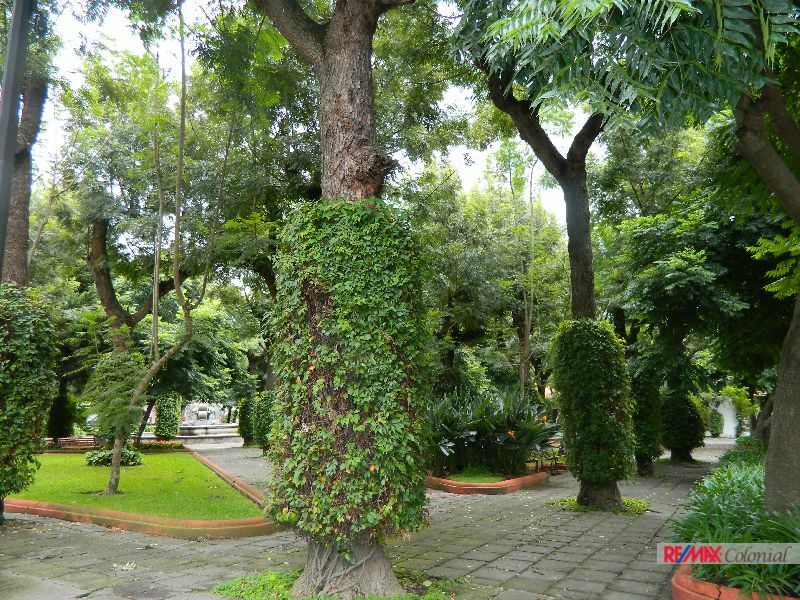 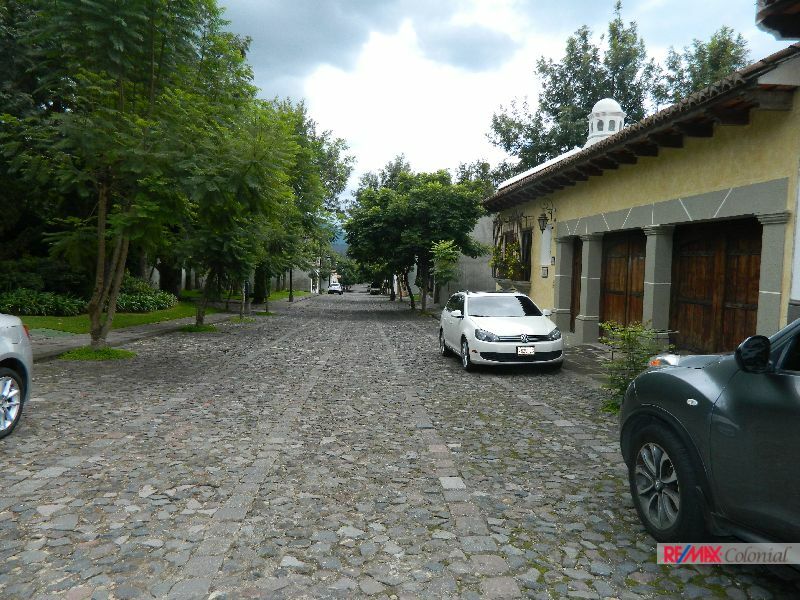 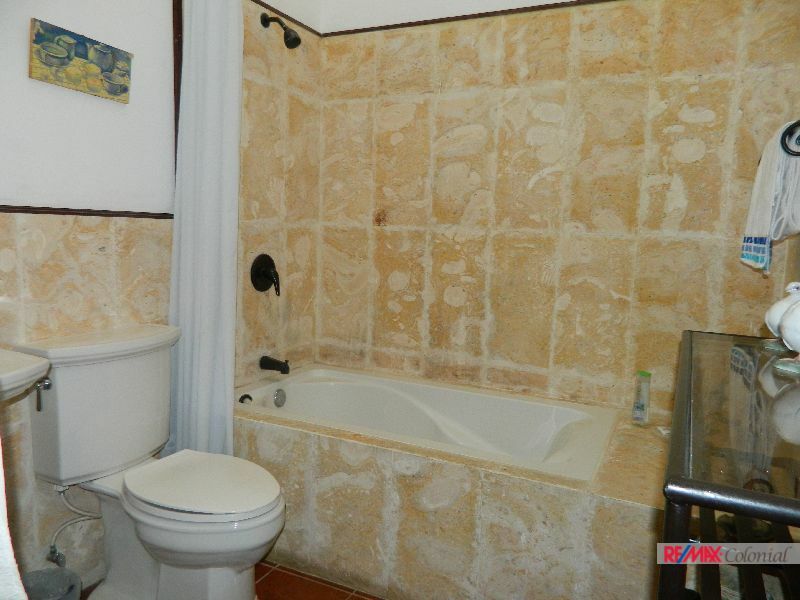 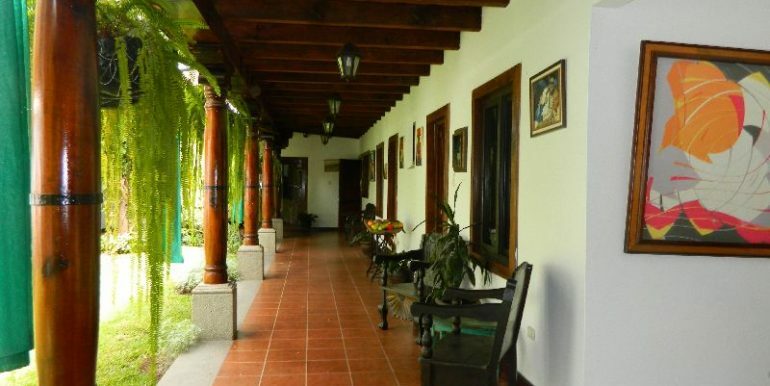 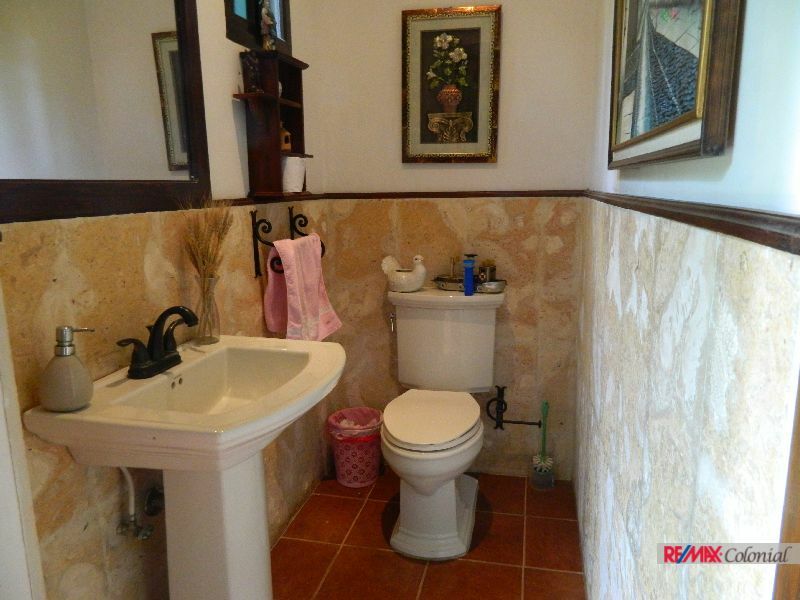 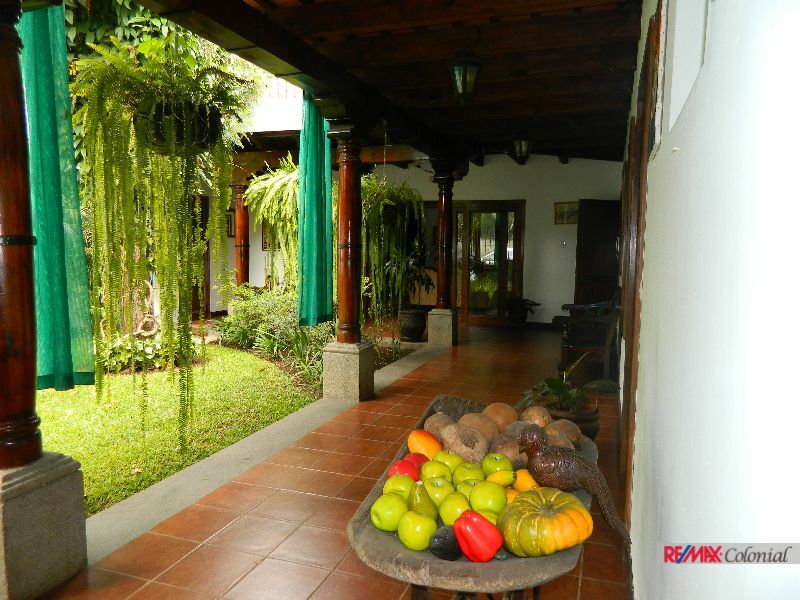 One level house for sale in a well known gated community on the road to Ciudad Vieja. 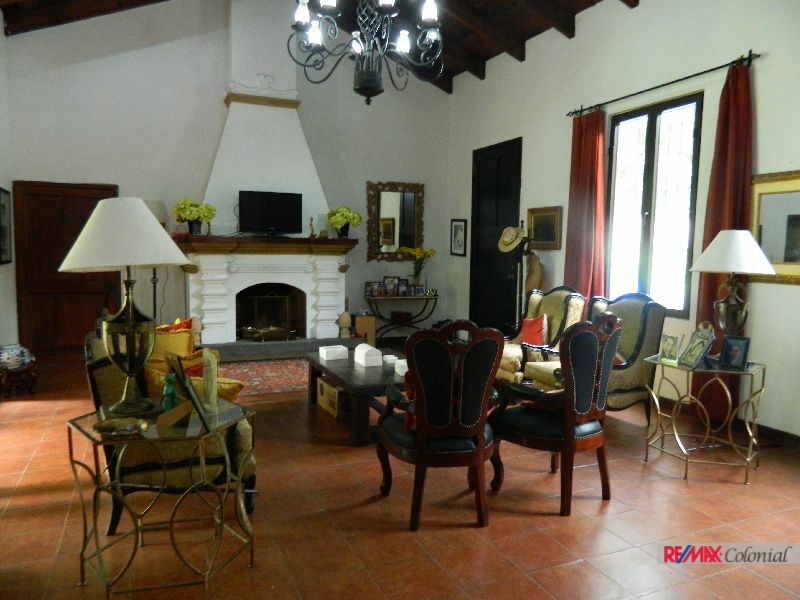 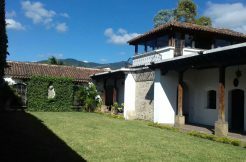 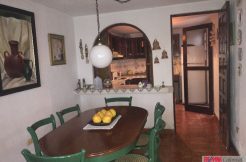 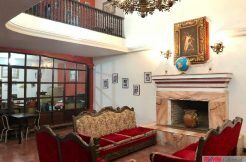 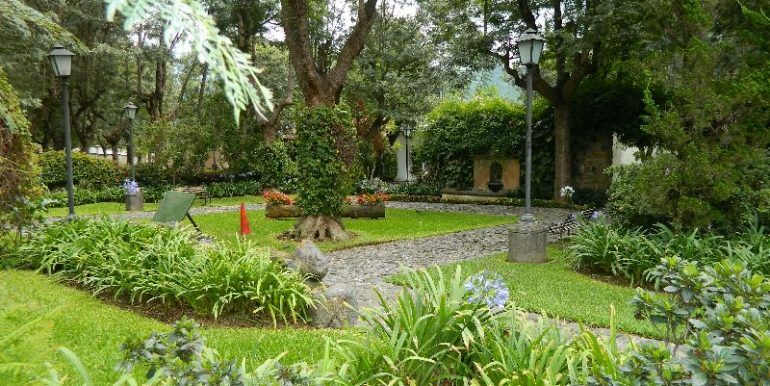 Ample living room with fireplace, dining room and kitchen with the traditional cúpula and good space for cabinets, nice corridor around the garden, four bedrooms each one with its own bathroom, studio and great terrace with nice views to volcanoes. 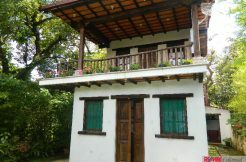 Garage for one car, laundry and service room. 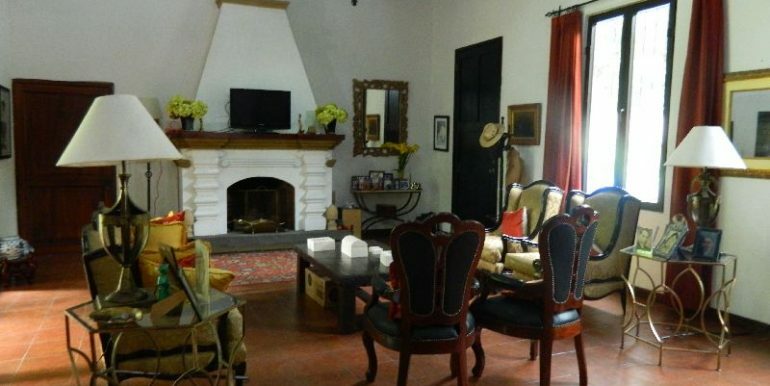 Colonial details like: Búcaro, fireplace, cúpula and more.